Radio-active: Should Advertisers Run from Rush? Home / Media / Radio-active: Should Advertisers Run from Rush? No matter how you feel about Rush Limbaugh, you can’t deny that he’s the biggest radio talk show host in America. He’s also the most popular, and for three hours a day, five days a week, he commands the attention of 14 million loyal listeners who trust him, agree with him, and are willing to buy whatever he’s selling. So it was kind of a big deal when, thanks to some less-than-gentlemanly comments made a couple of weeks ago, he sparked a national controversy so fiery that several of his largest advertisers decided to jump ship, forsaking the buying power of all those millions of “Dittohead” listeners. While such a move is hardly unprecedented, the scale and quickness of the exodus was notable. And as the story continues to dot national headlines, many advertisers remain weary about getting too close to el Rushbo. So the question is, does Limbaugh’s most recent faux pas actually rub off on his sponsors? 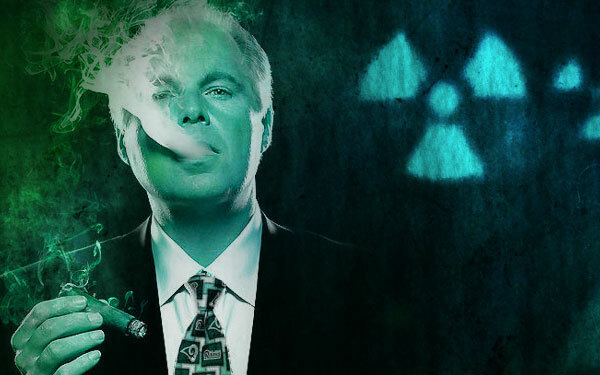 Is Rush Limbaugh really radioactive? I say yes. For now. Even though the half-life of mid-level controversy is shorter than it used to be, there’s still a lot of anger over Limbaugh’s comments. Just today, CNN.com featured a front-page commentary questioning whether or not Limbaugh should be taken off the air for good; it only makes sense for sponsors to keep their distance until the drama subsides. In the meantime, though they might face a minor backlash from dedicated Dittoheads, these companies can avoid any large-scale PR headaches like brand boycotts, twitter bashing and phone bombing. Heck, if they get lucky, they might even find themselves in the profitable graces of freshly activated Rush haters, which would be a win-win. Once things will calm down, these sponsors can return to Rush and, with his $incere endorsement, again win the hearts (and pocketbooks) of America’s largest, most loyal radio audience. So what do you think? If your business were running ads on the Rush Limbaugh Show, would you pull them? Or would you ride out the storm, hoping that the average consumer doesn’t hold your company accountable for the host’s views? I think that brands who get involved in the controversy are more subject to criticism than those who simply fly under the radar and act oblivious. So I would just ride the wave!